Goddess Mode #2 Review – AiPT! It’s a marvelous thing when a second issue surpasses the first, and that’s what writer Zoe Quinn has done here. In this crazy old world of ours, it’s always good to pick up a comic and take solace in fictional drama. 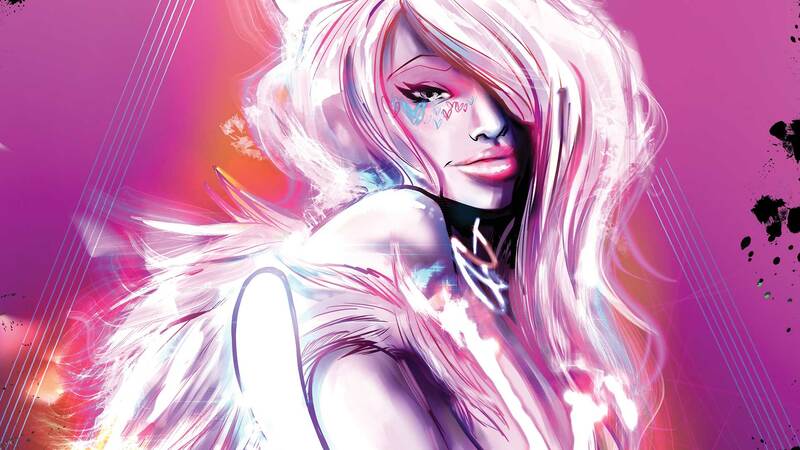 And the second issue of Goddess Mode delivers with a hailstorm of a crazy reality and an even crazier digital one. A first issue for a comic is a landmark feature, establishing characters, the universe and drawing in further interest. It’s a marvelous thing when the second issue surpasses it, and that’s what writer Zoe Quinn has done here. Building off the themes established in #1, issue two ties in more genres and pays great tribute to its inspirations. Goddess Mode dips its toe fully into the magical girl genre this time around. It feels like a manga sometimes honestly, and that’s a good thing. Alongside our protagonist the titular goddesses, the Tall Poppies act as the only line of defense against what seems to be a very sinister digital world. The cyberpunk and magical girl genre mesh very well with the characters. Quinn’s dialogue feels well done and each new person feels fleshed out with ample room given for future growth. Of course this is only amplified by a certain artist contribution. Robbie Rodriguez has brought his A-Game to this series and it shows. Every panel is vibrant. Every color pops out of the page. The synchronization between artist and writer here is amazing. While some world details are skipped for the sake of character development, this is by no means a weakness. The storytelling and the art combine to blitz you with glossy panels and an ever intriguing plot that will only get better as time goes on. I recommend picking this up as soon as you can. A blitzkrieg of pixelated adventure awaits you, reader. The plot thickens in an enticing way. Some parts of the world remain maddeningly unexplained.